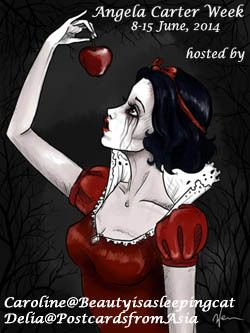 I’m very late in announcing this month’s readalong title. 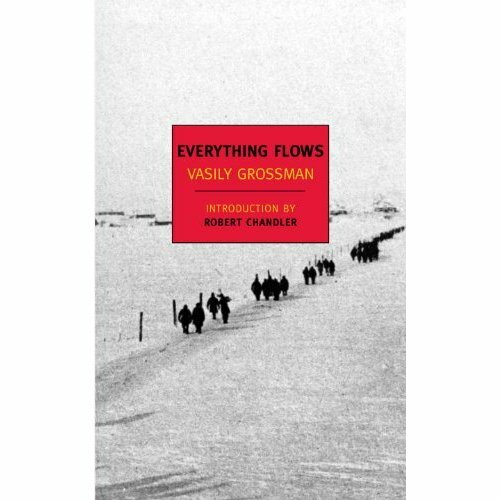 Vasily Grossman’s Everything Flows isn’t a war novel per se. It’s a post war novel. I found it’s about time to have a look what state countries, which had participated in WWII, were left in after the war. Russia is decidedly one of the most interesting places when it comes to the post-war era and Grossman is famous for the way he captures this time. Like many other Russian authors Grossman’s novels were forbidden during the Soviet era. Everything Flows was written after his major work Life and Fate. I have seen a few of his books reviewed on various blogs ( Silver Threads on Life and Fate – A Work in Progress on Armenian Sketchbook – Caravana de Recuerdos on Life and Fate) and the feedback was always more than favorable. I’ll leave you with the b blurb and the first sentences. 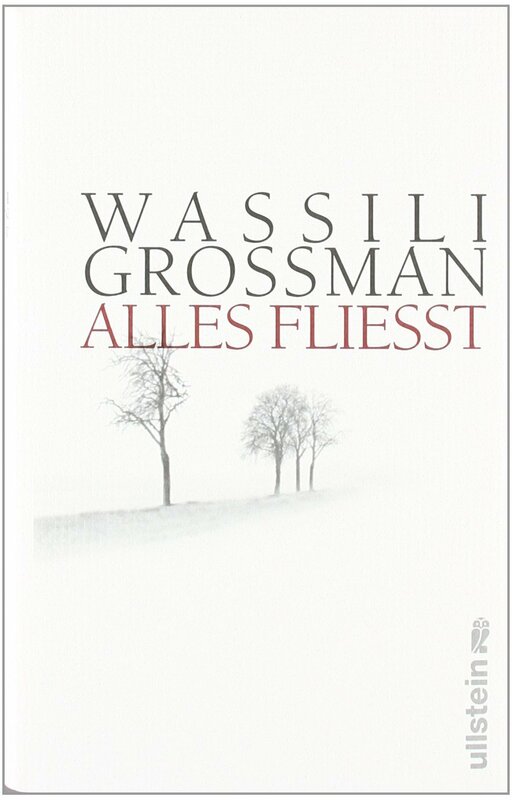 I will be reading the German translation Alles fliesst. I have this idea that Russian works better translated into German. The discussion starts on Monday, 28 October 2013. 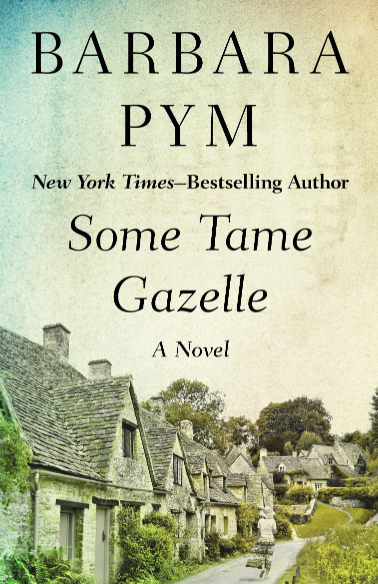 This looks like a very interesting book, Caroline – a man comes back from the Gulag to lead a normal life and discovers that the world has changed. I will look forward to hearing your thoughts on the book. Happy reading! Oh, I must add this to my TBR pile, Caroline. We heard so very little about life after the war in countries like Russia, so I am intrigued. He should be very good. His main wotk is Life and Fste but it’s very long, so I’d rather start with this. If he’s anything like Solzhenitsyn (not too sure about the spelling in English? ), then we are in for a treat. I too have heard really great things about Grossman. That first quote is a great start. I look forward to your commentary on this one. I could imagine this is an author for you. I’m glad to finally get to him. Sounds like a great one and I’m curious to hear your thoughts on it. And I think the subject matter is important and often it’s never discussed. But you know, I’ve always been interested in the home front during and after. I’m sure it will be an interesting book. Grossman has received a lot of attention lately and I’m keen on finding out for myself, why everyone is raving. Great to see that you’re reading this, Caroline. Life and Fate was one of the best books I’ve read in recent years, so I’ve been meaning to read something else by Grossman. Count me in! Oh, that’s so great. I’m glad you’ll join. I would have lobed to read Life and fate but it’s too long for a readalong title. He’s a writer I want to try someday. 🙂 After reading my review you’ll be able to decide which one of his books you’d like to read. Still looking forward to joining you and the gang for this one, Caroline, although I might not be totally synced up with the official date. Thanks for sharing the link to my Life and Fate posts, though; that novel is still near the top of the list of my best books read this year, and it’s been a satisfying year overall. Until later, ¡viva Grossman! I’m very glad that you will join. Synced or not. Who am I to moan after having failed your readalong. I’m still thinking about joining you for Nabokov. That’s still upcoming, right? I have Grossman sitting on the pile, but there is no way I will make it to him before your discussion. I’ll eavesdrop and I’m sure it will be inspiration to read his work sooner, rather than later. It would have been great if you could have joined us but if we’ll be an inspiration, well that would be great too. I found Life and Fate excellent: compelling, extraordianry in scope, deserving of the reputation it has acquired. I have this but not sure I’ll get to it in line with your schedule Caroline. I’m glad to hear you’ve liked him as well. Nobody seems to have read this title though. It would be great if you would make it but you can always add your thoughts later. I saw a used copy of his Life and Fate at my favorite used bookstore, but I didn’t grab it (I already had too many other books), but of course now wish I had. Maybe it will be there stil the next time I drop by. I am very much enjoying this, but it is sort of slow going for me. The sort of story where I want to take my time and absorb everything–also I am only peripherally knowledgeable about this part of Russia’s history–still find it fascinating and I like Grossman’s writing style very much. Same here. Some parts are heavy going, especially since I have no clue what he’s writing about. The people or events. I should have read the afterword first in this case.But there are chpaters that really stand out and are simply wonderful.